Special education resource teachers help provide schools an opportunity to meet the needs of students with special needs while maintaining a traditional classroom atmosphere. Their duties allow all students an opportunity to interact and learn together for as much of the day as is possible. Before 1975, few children with special needs were educated in free, public schools. This changed with the passing of Public Law 94-142, modified to the Individual with Disabilities Educational Act in 1990, which mandated a free and appropriate education for all children regardless of disabilities. This law, along with Section 504, provided legal background for students to be educated in the "least restrictive environment." Because of this, special education resource teachers are required to assist these children to participate in the regular classroom to the maximum extent appropriate. Resource teachers held classroom teachers with extra modification ideas when children are struggling in a regular education setting. If no change is made, the resource teacher will participate with the child study team to discuss more options and possible testing for disabilities. Resource teachers assist with necessary paperwork to record and continue the process for possible staffing. Some schools may have the resource teacher give the proper achievement test for assessment as well. After staffing is complete, resource teachers will head the planning and creating of the Individualized Education Plan (IEP) for the student. Resource teacher's can be called upon to "co-teach" with a classroom teacher, but will more than likely pull the students from the classroom for one-on-one or small-group instruction. The most common areas of study are reading, writing and math. Resource teachers prepare and evaluate lessons according to the needs recorded on the IEP. Resource teachers work with classroom teachers to provide modifications to the general curriculum. 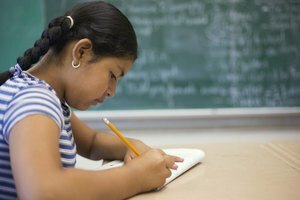 This includes worksheets, homework assignments, testing modifications such as smaller group settings, limiting the number of problems assigned, and special seating to avoid distractions. Resource teachers can also work with classroom teachers in planning activities and assignments. Resource teacher's are required to maintain paperwork recording evaluations of goals set on the IEP and dates completed. Collaboration with parents must be maintained by each teacher and recorded as well. Every year IEPs are reviewed and rewritten with the IEP team (including parents). Every three years, resource teachers initiate the re-evaluation process in which a student's progress will be reviewed, and retested for continuation in the Exceptional Education program or dismissal to return again to the unmodified classroom setting. 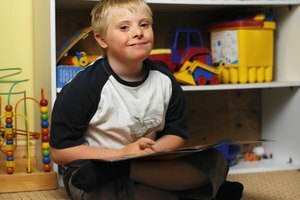 Each state, school district, and school can have different responsibilities for the special education resource teachers. This article may not exactly describe your individual area. Each resource teacher, however, must comply with the national laws and ultimately provide the best education possible with the resources available. Communication between teachers and parents is absolutely essential to a special education student's progress. Doyle, Michelle. "Special Education Resource Teacher Duties." Synonym, https://classroom.synonym.com/special-education-resource-teacher-duties-5376323.html. Accessed 20 April 2019.